I guess I should have expected this realization to eventually come, but not exactly smack me in the face. Perhaps all parents of more than one child know what I’m talking about and they need no explanation…. but for those of us new parents… let me help prepare you. 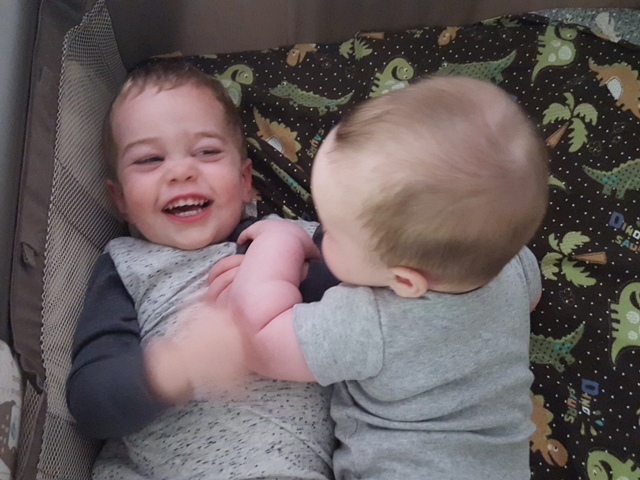 I have always had two sons…but up until now it was “Cash and the baby,” “The Toddler and the Infant.” NOW, there are two KIDS…. 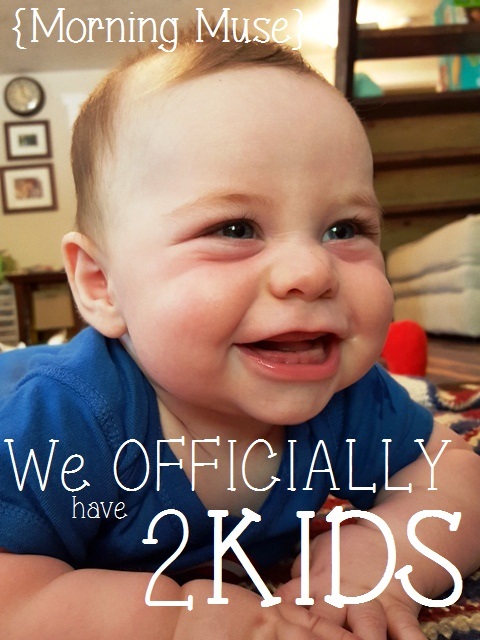 Last week Wyatt had his 6 month check and passed everything with flying colors…. he is only 6 pounds lighter than his brother and 7 inches shorter, by all accounts he is huge. Regardless of that we received all sorts of green lights to move right along with him…. Sheesh where did the time go? pretty sure I was just in the hospital! He is now sitting up, rolling over, and doing a whole lot more than just laying there sleeping, eating or crying. Within one week of the well-check we have rebuilt the crib in Cash’s (well not anymore! 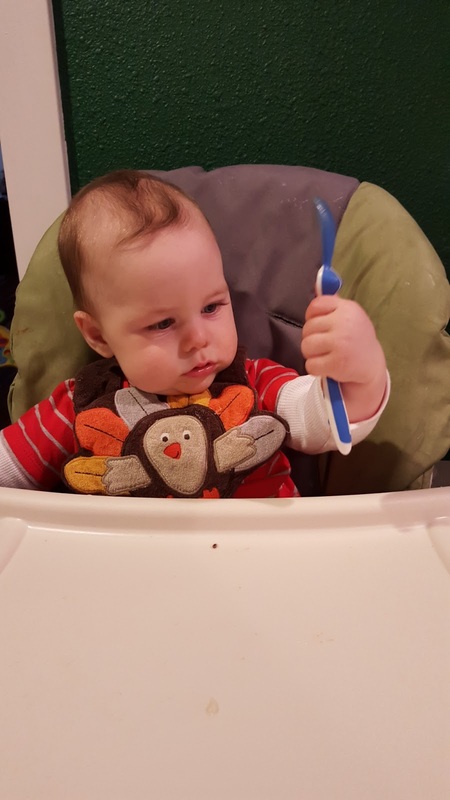 Now it’s the “Boy’s”) room, pulled down the *walker, began feeding Wyatt in the high chair and now all of the sudden Wyatt get’s a “choice”…. This smack in the face not only hit me but Cash as well. Not only have we completely redone the physical life structure (without even really noticing) that has been going on for 6 months by moving brother into big brothers room, taking over the high chair and letting this little kid cruise around free range** but now this little BEING who has been just along for the ride up until now gets a CHOICE?! Just a morning muse from yours truly about the ever changing and phenomenal word of parenting. We’ll see how this plays out! I’m off to redesign our weekly schedules and activities to accommodate educating another KID as opposed to a baby. Oh yeah, I’ve done this once before! *Walkers: I am fully aware of the controversies surrounding walker use. We use it responsibly and never leave him unattended in it, or actually in it at all for more than 15 minute sessions. **We have zero drop of levels in our home.